Mane Characters can't contribute their power to faceoffs involving this card. Opponents can't play Troublemakers here. "Rarity-Shmarity! 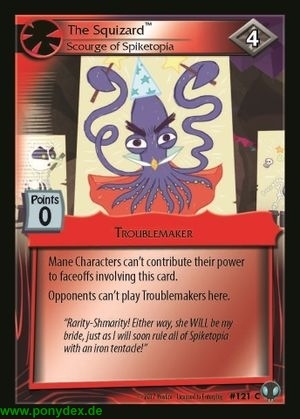 Either way, she WILL be my bride, just as I will soon rule all of Spiketopia with an iron tentacle!"